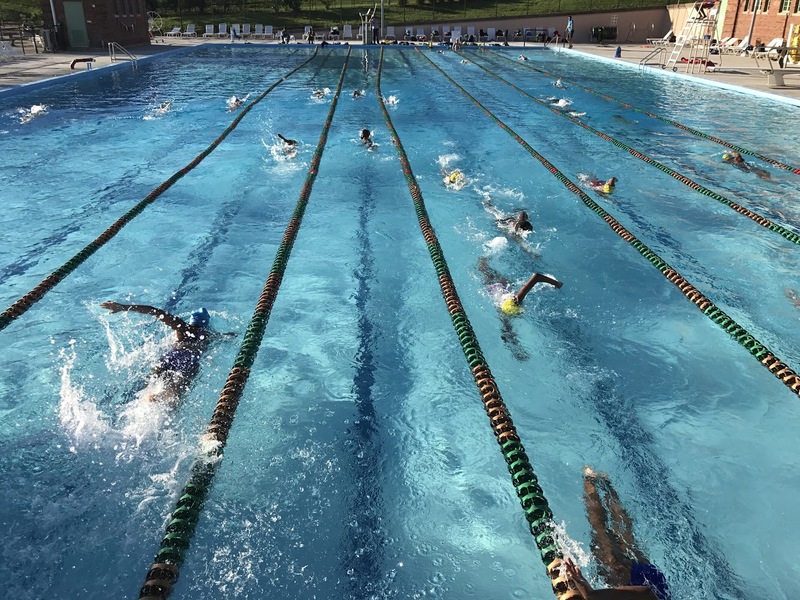 DC Wave Swim Team : Long Course Season 2019! Similar to Track and Field, where there is an indoor season and an outdoor season, competitive swimming has a short course season and a long course season. As a year round competitive swimming program, DC Wave has two distinct seasons that we compete in as well - Indoor Short Course Yards and Long Course Meters. Swimming competitions at the international, and now more frequently at the national level in the United States, are swum in a 50 meter pool. Olympic swimming competitions are swum in a 50 meter pool as well. The Long Course Season is critical to preparing our swimmers for competitive swimming beyond DC Wave, and is a key component to team members taking the next step in their development as competitive swimmers. Swimmers who participate in long course training and competition typically show improvements in areas such as muscular strength, muscular endurance, aerobic endurance, mental toughness, and confidence. Important Note: Long course training with DC Wave is not a learn to swim program, or swimming camp. Training is in preparation for PVS long course competition and Fall short course competition only. There is NO ADDITIONAL COST for the Summer LC Season for DC Wave Swim Team Members; Booster Club membership is required for participation in swim meets. Pre-Senior and Senior Level Swimmers are required to attend Summer Long Course workouts and all meets designated for their training group. Age Group Select swimmers who wish to try out for Pre-Senior and have been invited to do so by the coaching staff are also required to attend Summer Long Course workouts and meets. Consistent and regular attendance is required. Long Course Training is not recommended for Developmental level swimmers. Please consult with your swimmers coach regarding other summer swimming options. Schedule: Until our outdoor facility is ready to use, some long course practices will take place at Wilson Aquatic Center for Age Group Select, Pre-Senior, and Senior level swimmers. Below is a breakdown of our long course training schedule which begins April, 29th. A positive attitude, a strong work ethic, and a desire to improve!